Gulf nations reportedly moving to readmit Syria into the Arab League, after it was suspended in 2011 over its brutal repression of protests. Gulf nations are moving to readmit Syria into the Arab League, eight years after suspending the country over its brutal repression of peaceful protests against President Bashar Al-Assad, The Guardian reported on Wednesday. According to sources, Assad is expected to be readmitted to the body at some point in the next year. Syria was thrown out of the Arab League in November of 2011 over its violent response to opposition dissent, a move that failed to stem the bloodshed that spiraled into a full-fledged civil war. Now though, a regional thaw is already under way. Earlier in December, Sudanese President Omar al-Bashir became the first Arab League leader to visit Syria in eight years, a visit widely interpreted as a gesture of friendship on behalf of Saudi Arabia, which has shored up ties with Khartoum in recent years. Diplomatic sources told The Guardian there is a growing consensus among the league’s 22 members that Syria should be readmitted to the alliance of Arab nations, although the US is pressuring both Riyadh and Cairo to hold off on demanding a vote from members. The move comes despite Assad’s intimate ties to Iran, to whom the regime owes its survival. Iran is a key supporter of the Assad regime in Syria, having providing the regime with both financial aid and military advisers against a range of opposing forces since the start of the Syrian civil war in 2011. Iran's defense minister recently visited Damascus and said his country will continue its support of the Syrian government, while stressing the nature of the two countries' cooperation won't be decided by a "third party." Saudi Arabia is Iran’s regional rival and has supported the rebels fighting to oust him. 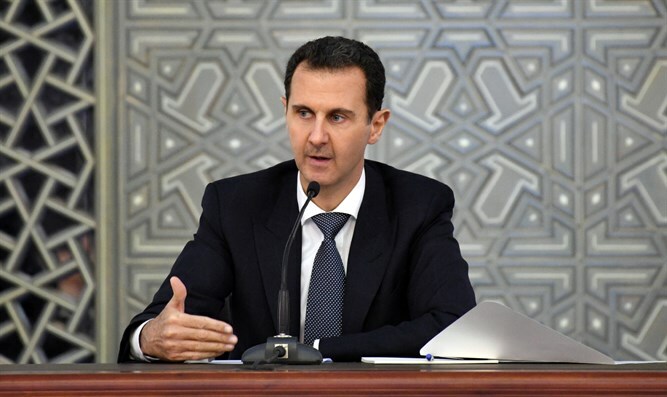 For Saudi Arabia and the UAE, however, re-embracing Syria is a new strategy aimed at pivoting Assad away from Tehran’s sphere of influence, according to The Guardian. Both Syrian and external estimates say around $400 billion is needed to rebuild the country, but the UN will refuse to send a penny until Assad engages with the UN peace process. The full sum will probably never materialize and much of Syria is likely to remain in ruins – but Riyadh’s pockets are much deeper than Tehran and Moscow’s, noted The Guardian. Any forthcoming Gulf reconstruction money will be directed to areas that stayed loyal to the government throughout the war as a reward. “What’s happening in Syria concerns us more than anybody else in the world. Syria is an Arab country, after all. It is not right for its affairs to be handled by regional and international players in our absence,” Khalifa told reporters at the time. Calls in Egyptian and Gulf media for Syria’s reinstatement were backed by the Arab Parliament earlier this month, and have been boosted by rumors about the reopening of the Emirati embassy in Damascus, which observers believe would serve as a backchannel for Saudi diplomatic overtures.